Khaman Dhokla or Khaman as its called, is a savory steamed caked made of chickpea flour, also known as gram flour (besan). This popular Gujarati (western India) snack is vegan, soft, and spongy with a sweet and tangy taste to it. Typically this dish is made by fermenting batter made using soaked and ground rice and split chickpeas (chana dal) but with this instant method it can be ready within an hour. 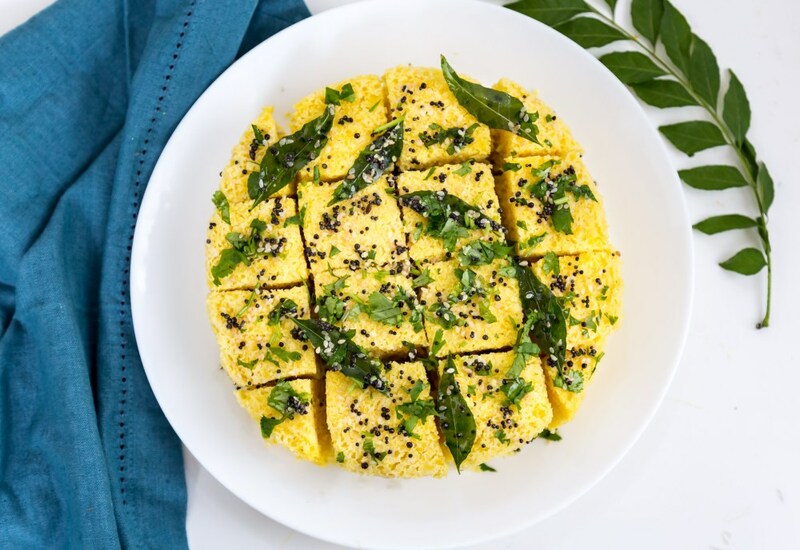 Khaman dhokla can be served as a snack or a side dish or for breakfast with some green chutney. The cilantro chutney from this recipe would be a great accompaniment to the khaman. Per Serving: 194 calories; 9g fat; 22.7g carbohydrates; 6g protein; 0mg cholesterol; 695mg sodium.